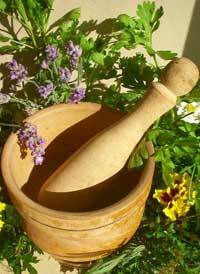 The probable origins of homeopathy are fascinating and almost certainly stretch back into prehistory. Many indigenous, shamanic peoples say that medicines must be shaken or struck in order to waken them up, and waterfalls (where potentisation is an ongoing process!) are universally held to be places of healing. At the time of Hahnemann in the late 18th century herbalists would vigorously shake their medicines before dispensing them – not just to mix them thoroughly but to enliven them (pdf2). Potentisation did not, therefore, appear out of nowhere, but was most likely based on current practices at the time Hahnemann introduced it. The other cornerstone of homeopathy – that of treating like with like - also has its origins in the distant past, at least as far back as Ancient Greece. Hippocrates discusses two ways of healing – with likes or with contraries. The way of similars was advocated by Paracelsus in the 16th century and later by Fleming, Sydenham and other physicians in the 17th and 18th centuries. However, it was not until the late 18th century that this method of treating illness was turned into a rational system of medicine by Samuel Hahnemann, who is seen as the founder of homeopathy. His genius was to show that the testing of medicines on healthy volunteers, (called provings, from the German prüfung, meaning test or assay), would indicate, through the symptoms produced, what disease states those medicines could be used to treat (see research section for a more in depth discussion). This evidence based approach was revolutionary at a time when medicines were generally prescribed on spurious and irrational grounds. 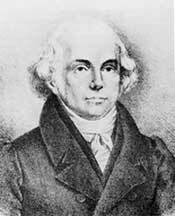 By bringing together the concepts and practices of similars, potentisation and provings, Hahnemann synthesised a system of medicine which was to spread rapidly, becoming established in over 30 countries by the late 19th century, including most of Europe, the Americas and beyond. In 1900 the Hahnemann Homeopathic Medical College in Philadelphia hosted one of the best equipped and largest hospitals of any kind in the world, and approximately 25% of all MDs in the USA were homeopaths. By 1935 homeopathy had diminished to a fraction of its former importance through a combination of organised opposition from orthodox medical practitioners coupled with complacency and ideological infighting amongst homeopaths themselves, the rise of pharmaceutical chemistry, and the undoubtedly higher levels of experience and labour needed to prescribe homeopathic medicines well compared to the newer magic bullets of orthodox medicine. However, the growing realisation that magic bullets can carry with them serious side effects, together with the demand for a more natural, person centred approach to illness and health over the last 20 years has resulted in homeopathy making an impressive return. The challenge homeopathy faces in the 21st century, if it is to re-establish itself as an important medical system worthy of status, realistic funding and development, is to address its modus operandi. A satisfactory explanation of how homeopathy works is essential, making research a priority.